What is the Difference Between a Land Rover and a Range Rover? Even been confused on whether the terms “Land Rover” and “Range Rover” are interchangeable? The difference is make vs. model: Land Rover vs. Range Rover. Land Rover is the brand name of the vehicle and Range Rover is a specific Land Rover model. The Range Rover is just one model, but Land Rover is more than just the Range Rover. The performance SUV lineup also includes the Range Rover Evoque, the Range Rover Sport, and the Range Rover Velar. 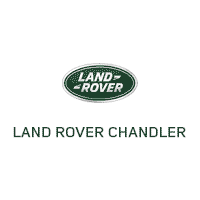 Learn more when you visit Land Rover Chandler near Phoenix. Land Rover Range Rover – The original Range Rover model, this SUV started the advancement in power and off-roading abilities. Land Rover Range Rover Sport – The difference between this model and the classic Range Rover is that the Sport model focuses more on the performance on Gilbert roads and beyond. Land Rover Range Rover Evoque – No matter whether you choose the crossover or unique convertible configuration, this model provides a luxurious design, advanced features, and off-road capabilities at a more affordable price. Land Rover Range Rover Velar – The Velar sports all of the tech features that Land Rovers are praised for, however, if you’re looking for a more compact version of the beloved Land Rover Range Rover, the Velar is the model for you. Now that you know the Range Rover lineup a little better, it should be easier to make the distinction between Land Rover vs. Range Rover. Land Rover Discovery – The Discovery is built for strength and advanced safety whether taking the highway or the path less traveled. Land Rover Discovery Sport – The Sport model of the Discovery has many of the same features as the base model, but is better suited for adventure. Land Rover Plug-In Hybrid – For a more efficient drive, the Plug-In Hybrid is the model you want. Find out more about our new Land Rover models and compare them against other popular luxury SUVs. See how a new Land Rover can benefit your commute, with Range Rover accessories and technologies like Land Rover InControl® Apps™, or prepare for an adventure with the best off-roading tires for a Range Rover. Ready to find a new Range Rover in Chandler? Visit us today to test drive a new Land Rover! If you have questions in the meantime or want help doing more research, contact us at Land Rover Chandler. 0 comment(s) so far on What is the Difference Between a Land Rover and a Range Rover?